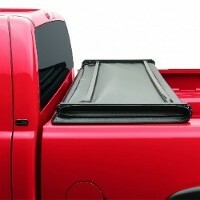 The LUND® Genesis™ Tri-Fold Tonneau cover features a low-profile design and black leather appearance premium vinyl top. The Genesis Tri-Fold design combines the flexibility of a Tri-Fold and the performance of a full, one-piece seamless cover to protect your gear and cargo. The Genesis Tri-Fold also utilizes a rigid, black powder-coated aluminum sub-frame, commercial-grade clamping system and tailgate seal. 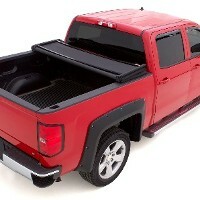 One of our very best Tonneau covers! 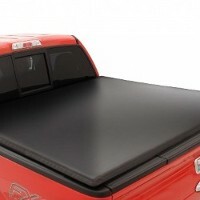 The LUND Genesis Elite™ Tri-Fold Tonneau cover features a low-profile design and premium twill weave HAARTZ™ fabric -- engineered to be resistant to water, mold, mildew, UV, dirt and dust. The Genesis Elite Tri-Fold design combines the flexibility of a Tri-Fold and the performance of a full, one-piece seamless cover to protect your gear and cargo. 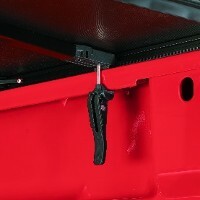 The Genesis Elite Tri-Fold also includes a sturdy, black powder-coated aluminum sub-frame, commercial-grade clamping system and tailgate seal. 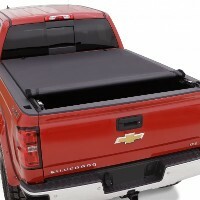 The LUND® Genesis™ Roll Up Tonneau cover is a low profile, soft top, truck bed cover that rolls up in seconds, allowing complete access to the bed. 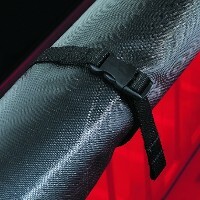 The Genesis Roll Up comes equipped with a patented latching and automatic tensioning system combined with heavy-duty Velcro side sealing to keep the cover tight and secure.